In 2016 Occurrent Arts teamed up with Potion Design for the first time to help implement an intelligent kitchen concept room for Innit at the high end Pirch retail space in Soho ( NY ). We were tasked with implementing several computer vision systems to help bring some of Innit’s innovative ideas for the kitchen to life. 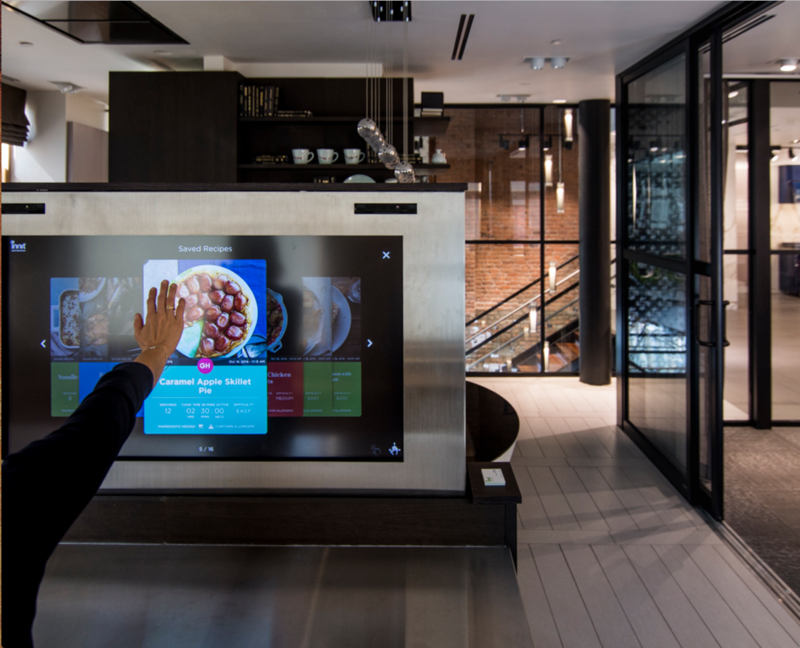 Through a partnership with Intel we were able to get our hands on the (then unreleased ) Intel RealSense cameras, with which we developed systems for reading users’ gestures in the air to browse recipes, as well as smart detection of pots and pans on a rangetop. Visit Potion’s documentation of the project for a more thorough look at what we were able to put together, or visit the Pirch Soho store and try out the experience yourself!